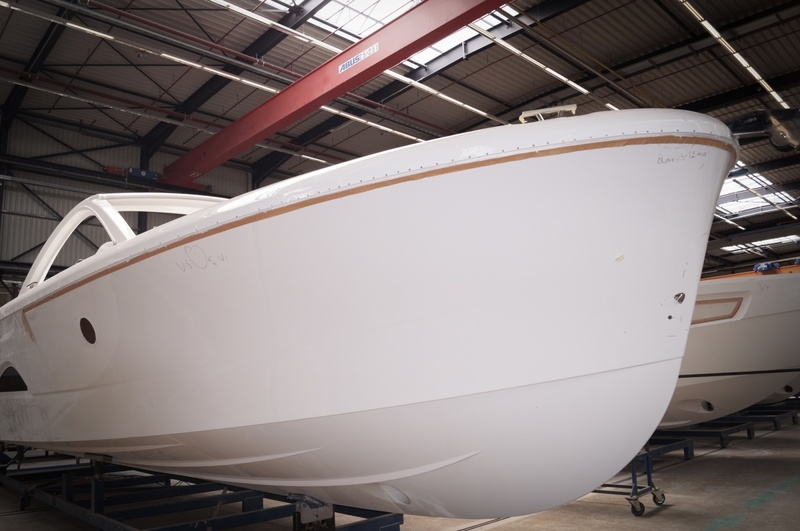 May 31st 2017 | The production is running well at Bavaria Yachtbau as 4 Keizer 42's are in production at this moment. We are excited that boat number 2 is very short of leaving the yard. The second Keizer 42 is almost completely finished and ready for transport to Holland were the boat will be available for sea trials. At the same time we are working on three other Keizer 42's. On the photo you can see hull number 3 which is in the production line together with hull number 4. In another part of the yard in Giebelstadt the hull and deck of the Keizer number 5 is being produced. Thanks to the ultra modern production facility of Bavaria it's possible to have 4 boats being build at the same time. It's a great sight and we are very proud that all our preparations are paying off.